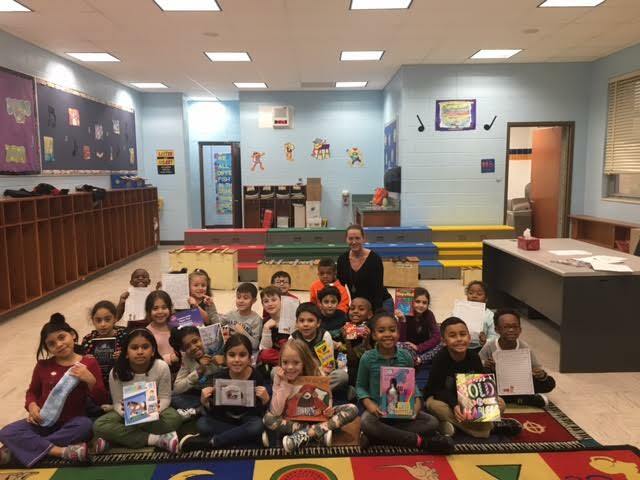 After completing a schoolwide fundraiser for St. Jude’s Children’s Research Hospital, second-graders in Mrs. Bridget Jelovcic’s class at Maurice W. Downing Primary School in the Malverne Union Free School District made a personal connection with an 11-year old named Kimi. The students wrote friendly letters of encouragement to Kimi, as well as purchased items such as crafts, coloring books, lip balm and games to help lift her spirits as she undergoes her next round of chemotherapy. They are looking forward to hearing back from their new pen pal after she receives her care package. Photo caption: Second-graders in Mrs. Jelovcic’s class made a personal connection with an 11-year old named Kimi, a patient at St. Jude’s Children’s Research Hospital.